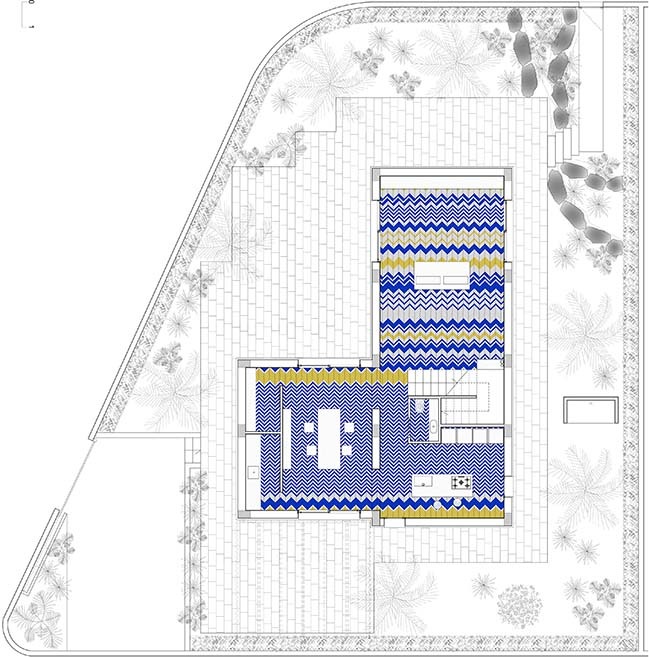 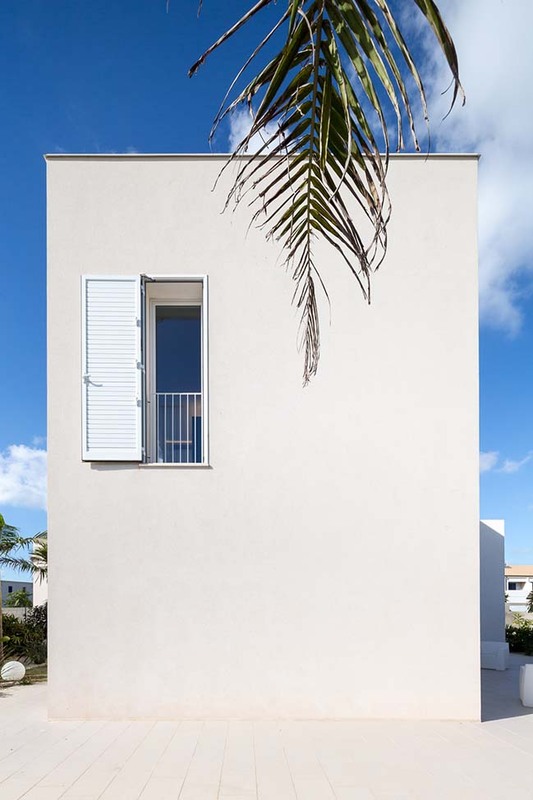 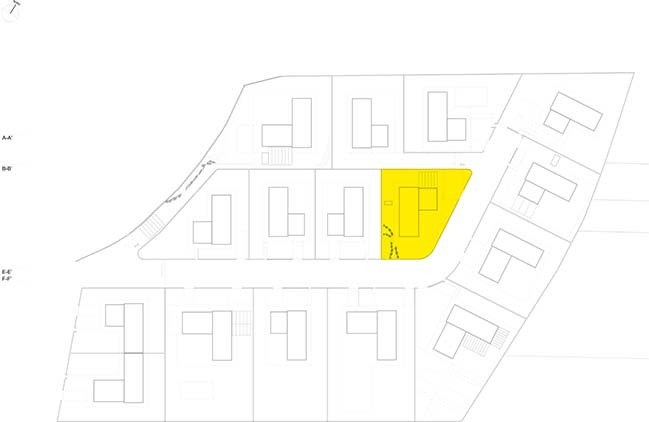 Lot 16 is part of the Garden cooperative in Marina di Ragusa, which consists of two-story residences surrounded by big gardens. 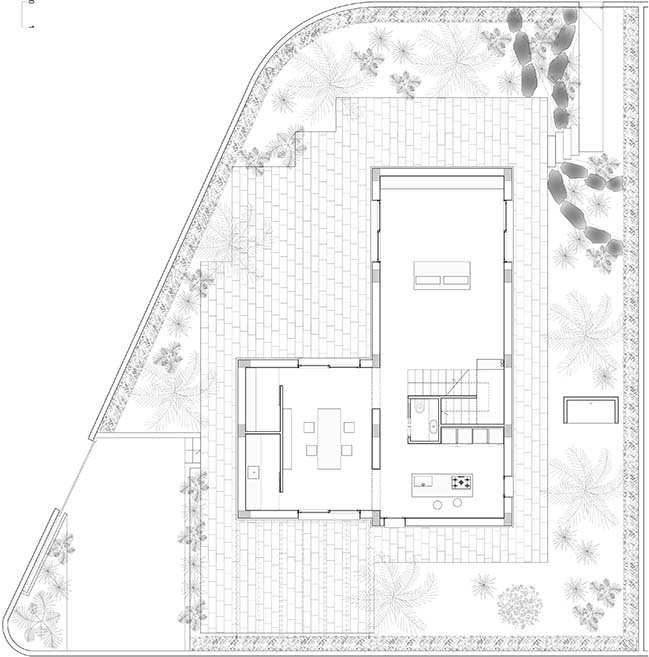 From the architect: The ground level hosts the living area, kitchen and dining room; all environments have a direct relationship with the exterior. 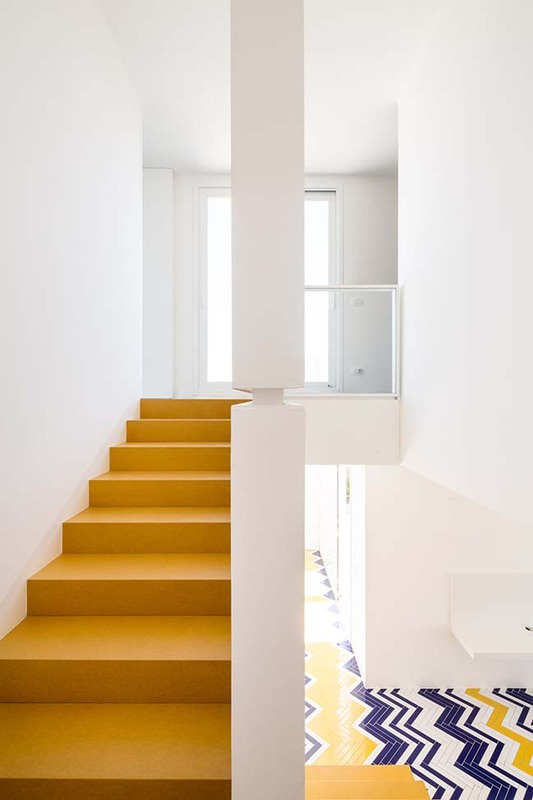 The space is strongly defined by the treatment of the horizontal surfaces and by the presence of a sculptural staircase. 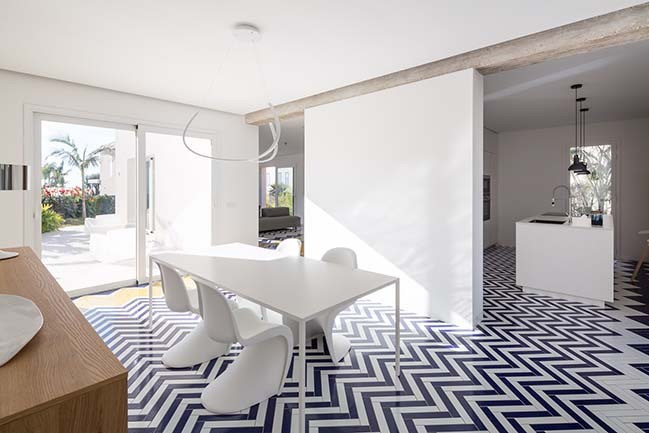 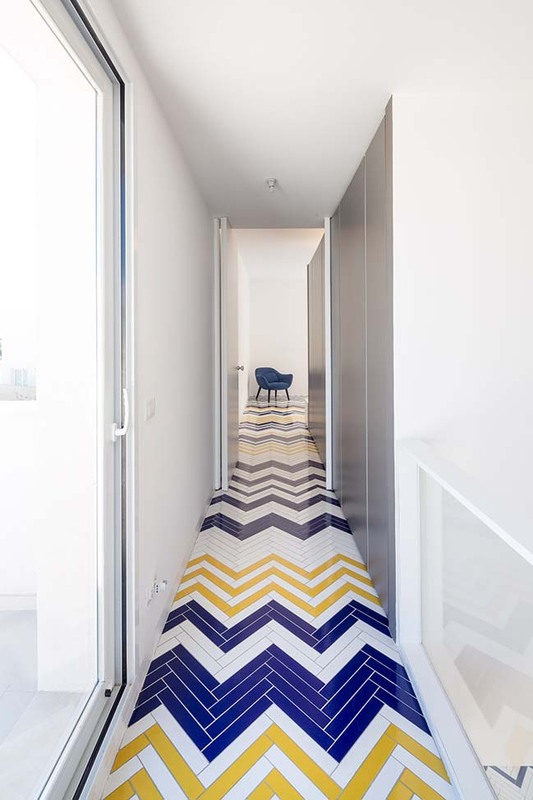 Custom made glazed lava stone tiles can be arranged to form different geometric compositions. 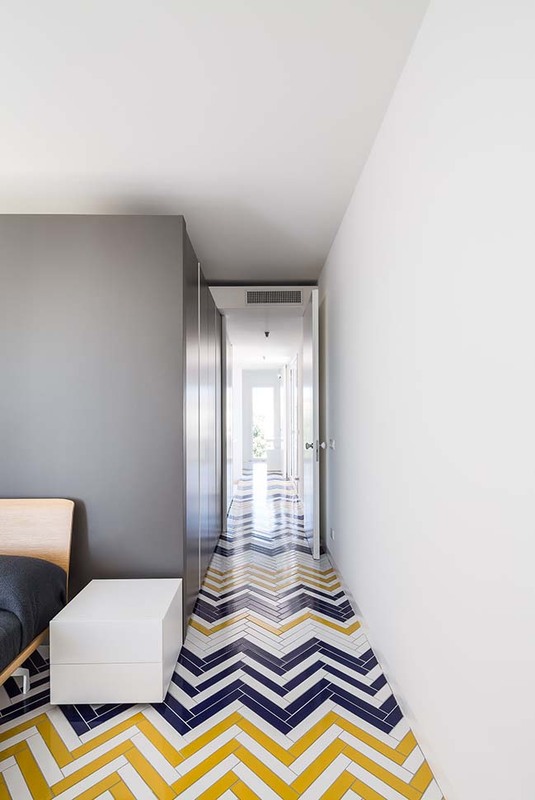 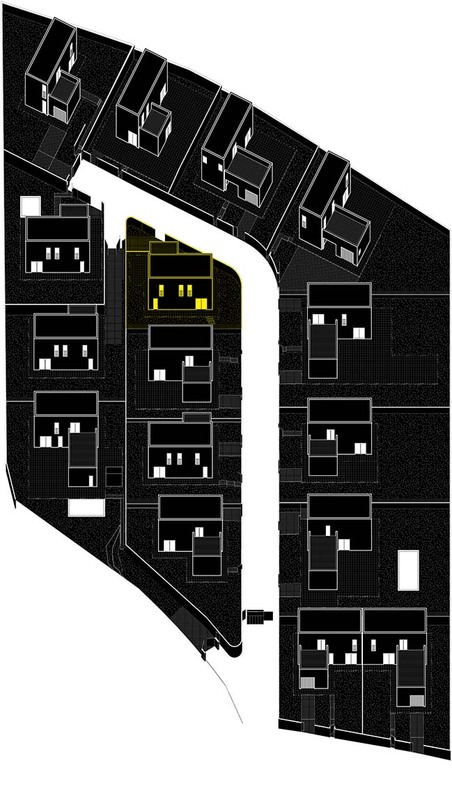 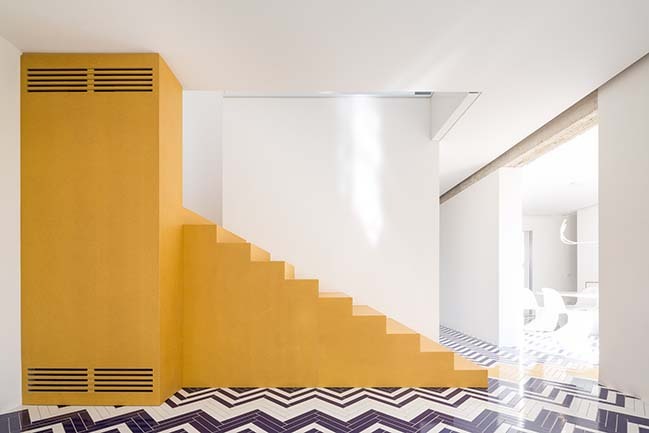 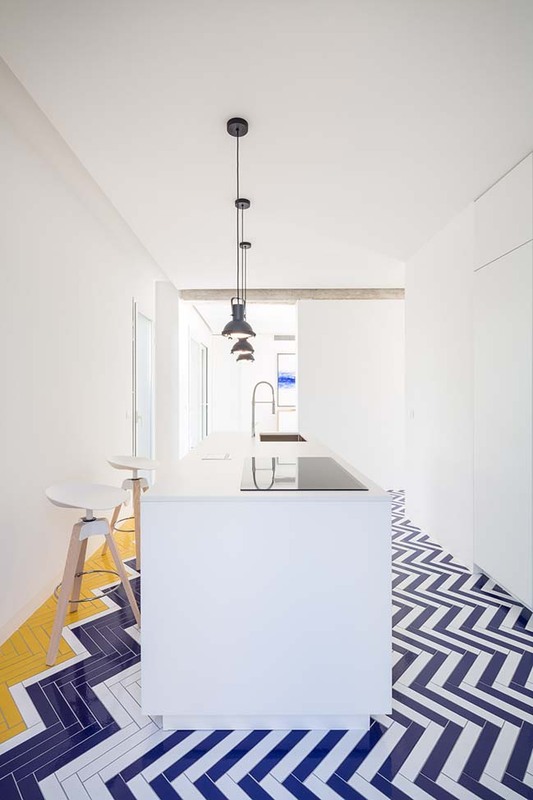 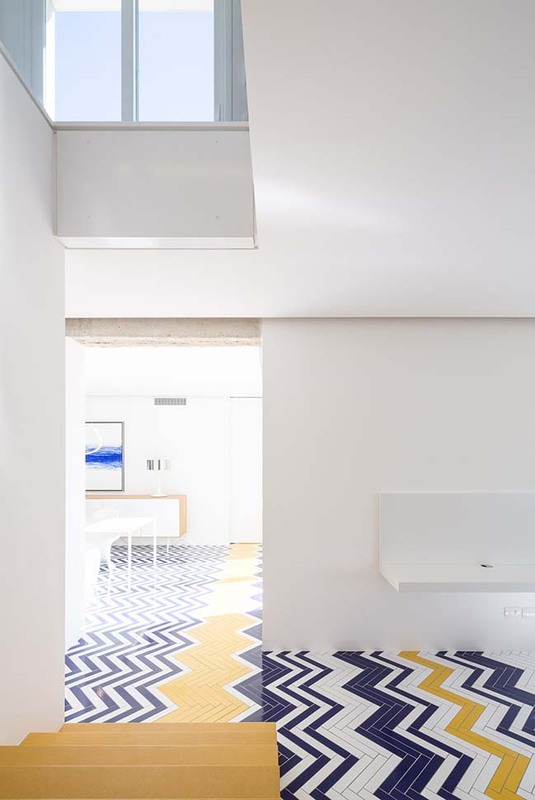 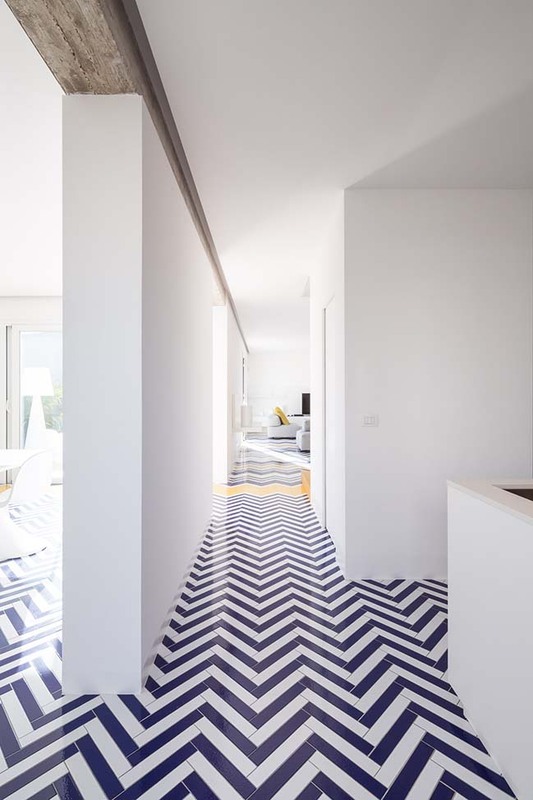 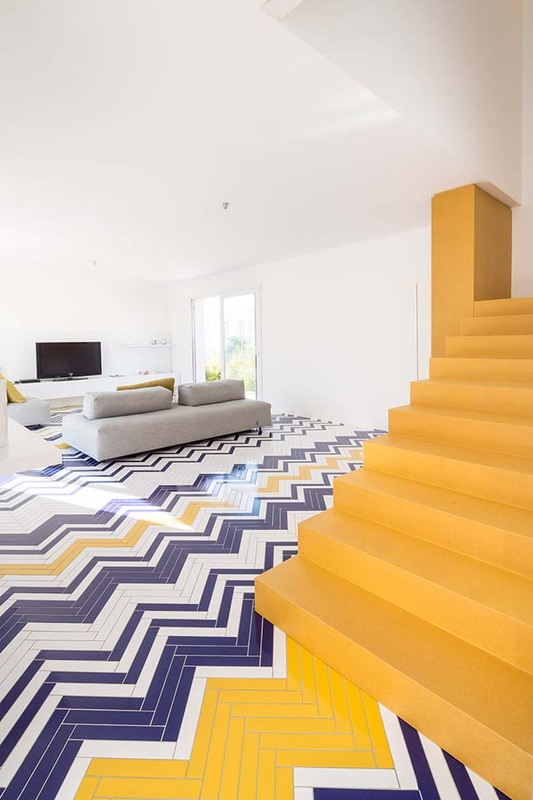 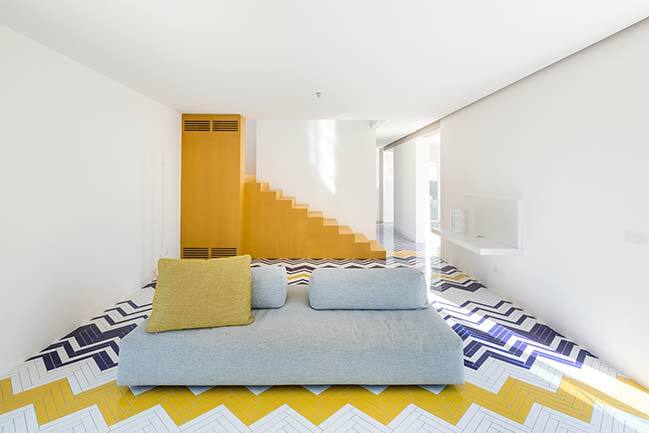 The colors of the tiles are white, cobalt blue, and giallo siena; the volume of the staircase is completely cladded with yellow Valchromat and is located next to a volume that stores technical systems. 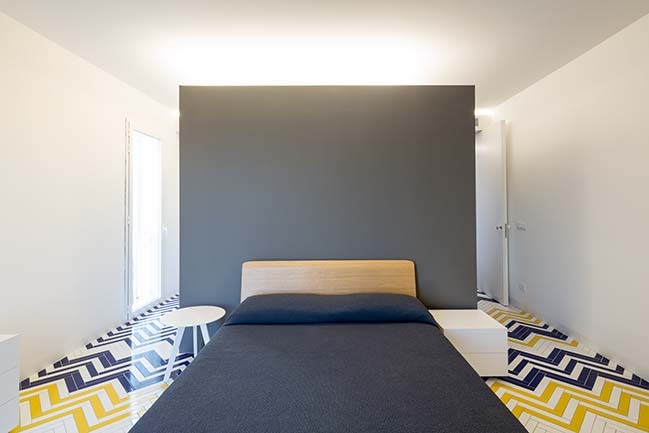 The second floor hosts the sleeping area featuring two bedrooms and two bathrooms. 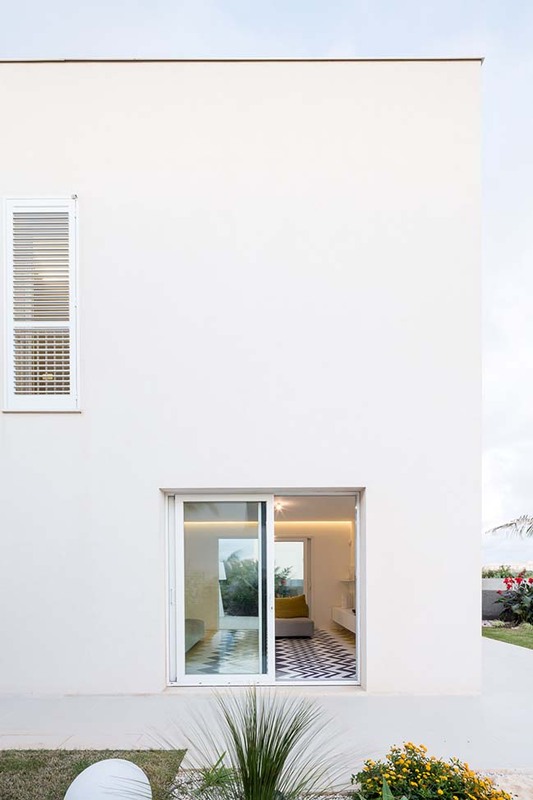 The paths and porches on the exterior are made of local stone; the pergolas screen the main openings and are made of white painted galvanized iron covered with bamboo. 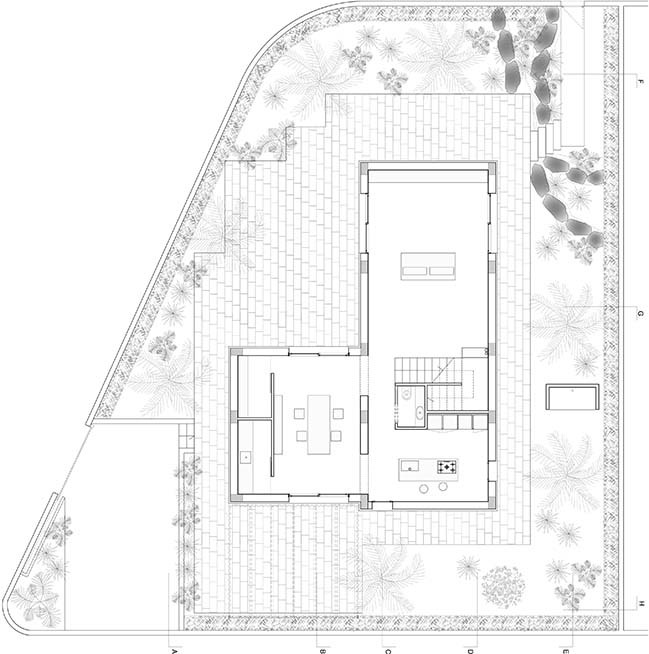 Landscape designers developed the design of the gardens, which feature several tropical plant species organized in an informal way in contrast to the geometric rigor of the architectural volumes and outdoor paths.